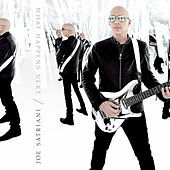 Modern day guitar master Joe Satriani started out as a teacher with a rather shocking list of students Steve Vai, Charlie Hunter, Metallica's Kirk Hammet, Larry La Londe from Primus -- before he embarked on a recording career. His 1987 album Surfing With the Alien garnered him national acclaim as the burnin'est superguitar axeman of his generation. 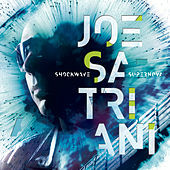 Since then Satriani has continued to release albums of intricately constructed virtuoso guitar rock, almost all of it instrumental.